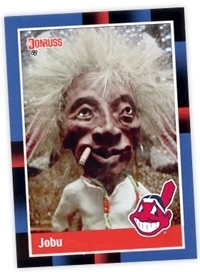 A shot of rum, a boa constrictor and an African voodoo doll named Jobu may be a bit of an exaggeration, but to the Indians Pedro Cerrano it was a religion. “That was just a movie,” you say, “no one in a real-life locker room would behave that way.” Or would they? How about chicken, the same athletic supporter since high school, the color red and odd numbers? Some of the world's top athletes are a quirkiest bunch when it comes to superstitions, and bizarre rituals. Many athletes feel obliged to perform these strange rituals before competing, believing that they will in some mystical way improve their performance, or change the outcome of the game. Sometimes these behaviours borderline obsessive compulsive disorder (OCD) and has even forced some players out of competition. Superstitions rule the minds of many athletes, both on and off the field. These are just few examples of some of the sports worlds most bizarre rituals past and present. 1. Wade Boggs, former third baseman for the Boston Red Sox, had an array of rituals, including eating chicken before each game, and writing the Hebrew word Chai, meaning "living", in the dirt before each bat. 2. NBA basketball superstar Michael Jordan always wore his North Carolina college shorts under his Chicago Bulls uniform. 3. Golf sensation Tiger Woods is also a little bit superstitious. He usually wears red on Sunday. Red is his lucky color, he has said; it's a belief that comes from his astrology-believing mother. 4. Soccer star David Beckham has admitted that he suffers from OCD, which may explain the obsessive practice that underpins his prowess with free kicks. He hates the asymmetry of odd numbers, and will throw away one can of Diet Pepsi if he has three in the fridge. 5. Former Montreal Canadiens and goaltender Patrick Roy during the pre-game warm ups would skate out to the blue-line and stare at the net, envisioning it shrinking. He would also consciously never step on the blue-line or redline. 6. Marshall Faulk, former running back with the Indianapolis Colts and the St Louis Rams, habitually wore all black on the way to the stadium. 7. Mark McGwire wore the same cup from his high school playing days. That same cup was later stolen, forcing him to find other means of protection. What's more disgusting, the cup itself, or the fact that someone coveted it enough to steal it? 9. Wayne Gretzky always tucked his jersey onto one side because he always played with the older kids, and received a jersey way to large for him. For him to be able to skate, he had to tuck it into one side so it wouldn't get caught in between his legs, and stick. It’s been a habit with him he carried into the big leagues. 10. Babe Ruth claimed he had only one superstition. He made sure to touch all the bases when he hit a home run. In the end, all that really matters is the outcome of the game. Superstitions are replaceable and easily discredited when they don’t work. If eating chicken, wearing a certain color or article of clothing, or making a trip to the nearest restroom are a part of the winning formula, they become ritual. If not, they fall into oblivion, never to be thought of again. So the next time you see an MLB pitcher hopping over a baseline or an NHL goalie talking to a goal post, you decide. Lucky charms or bad habits?